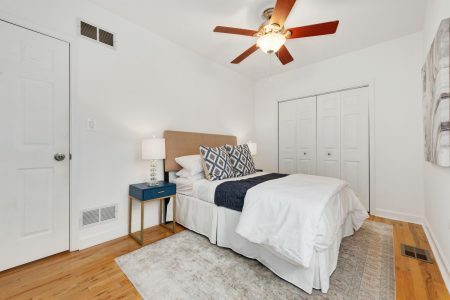 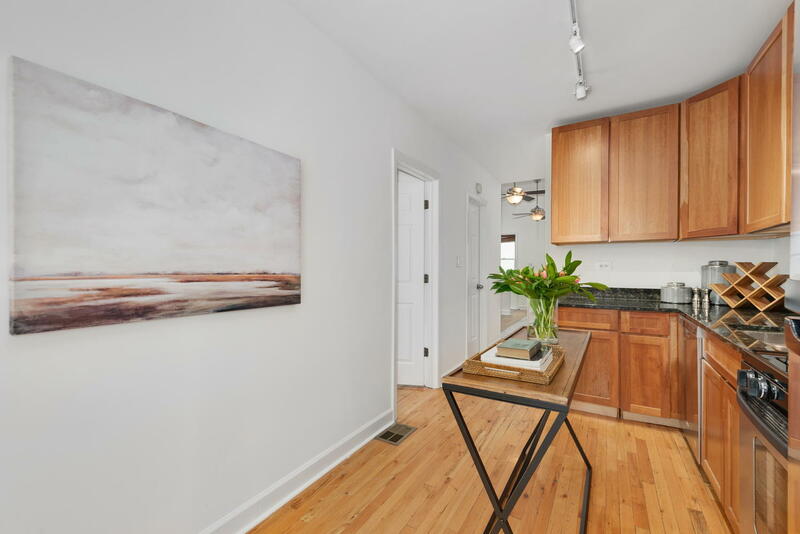 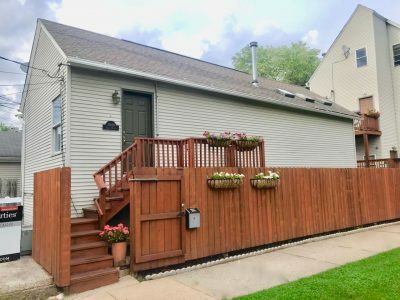 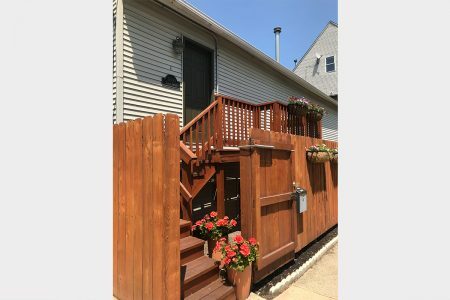 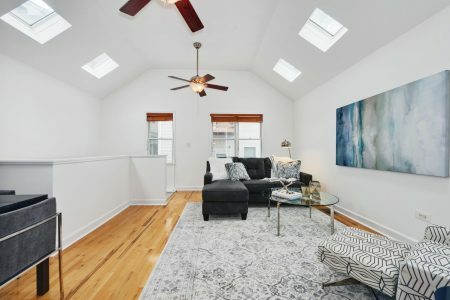 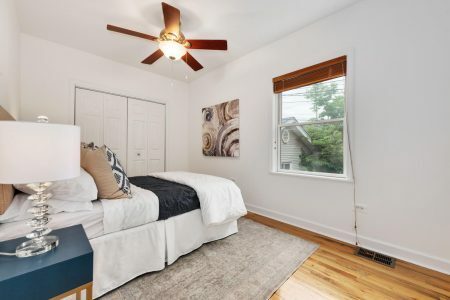 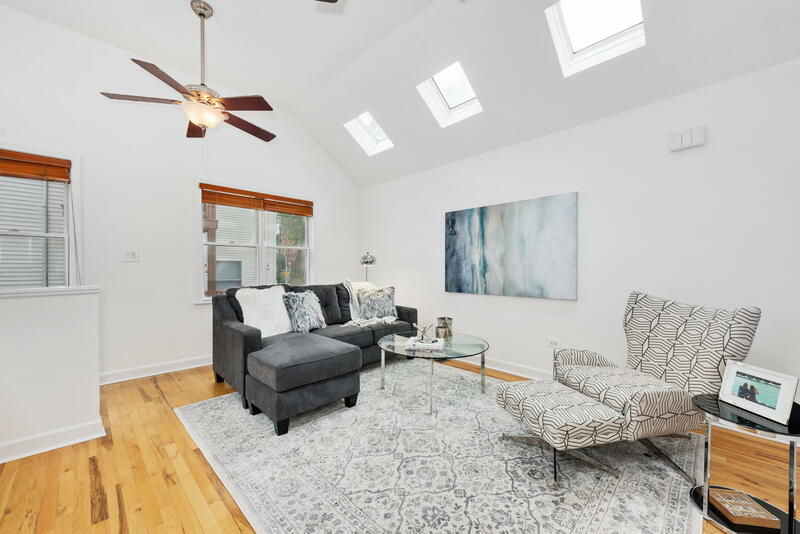 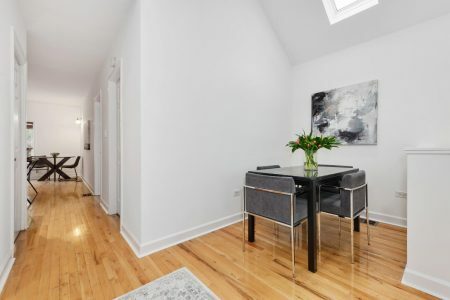 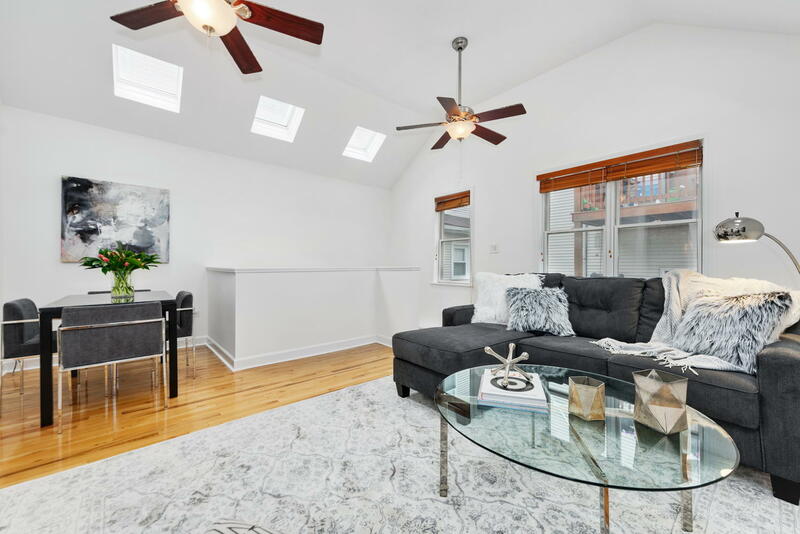 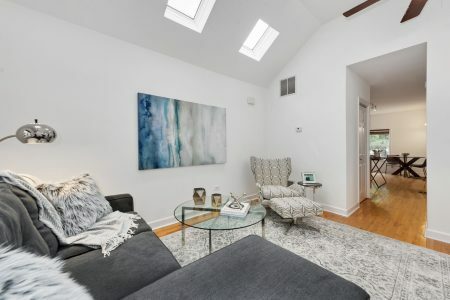 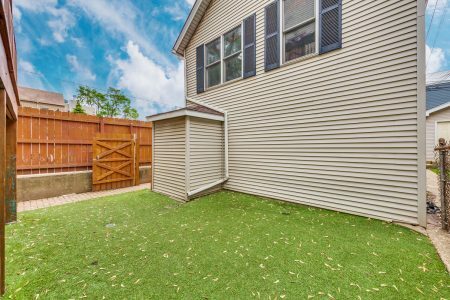 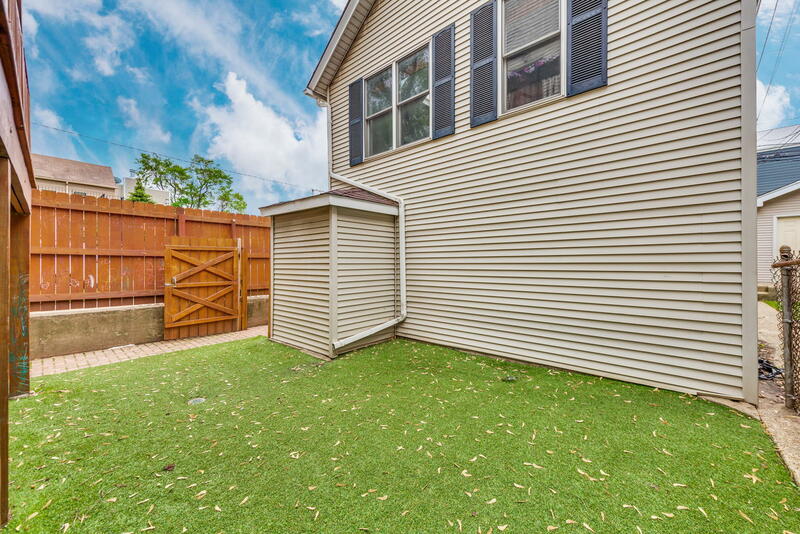 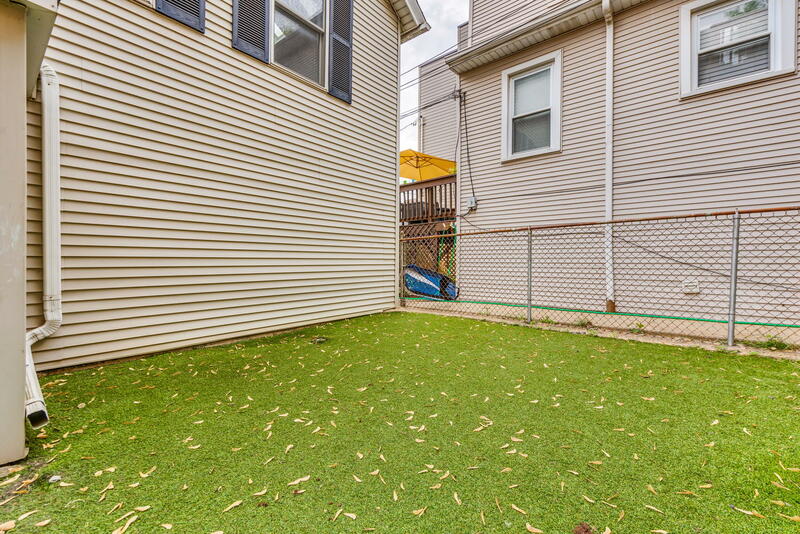 Fantastic two level and three bedroom coach house in Roscoe Village, just across the street from lovely Hamlin Park, a neighborhood favorite for its pool, baseball field, and basketball court. 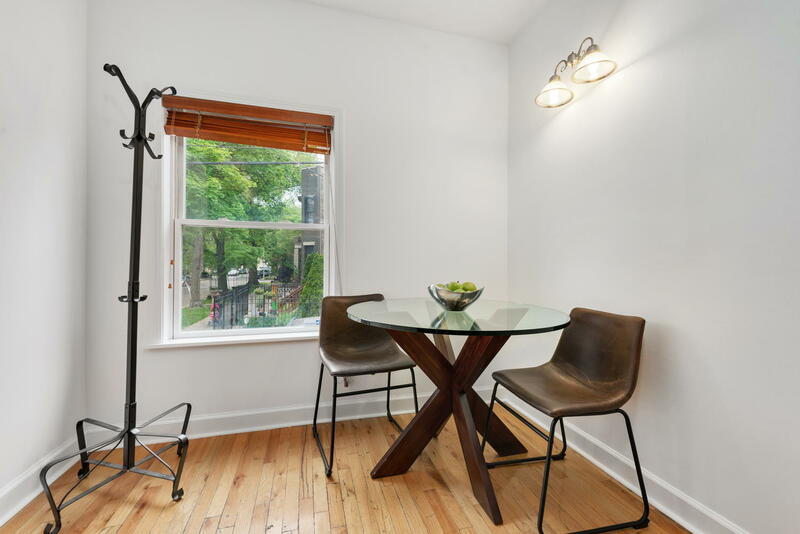  Steps away from the brown line, local shops, cafes, bars, restaurants and bustling Roscoe Village nightlife. 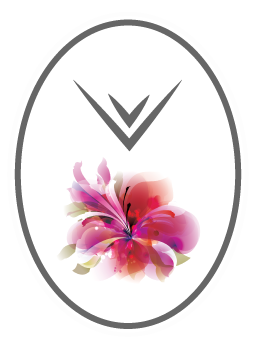 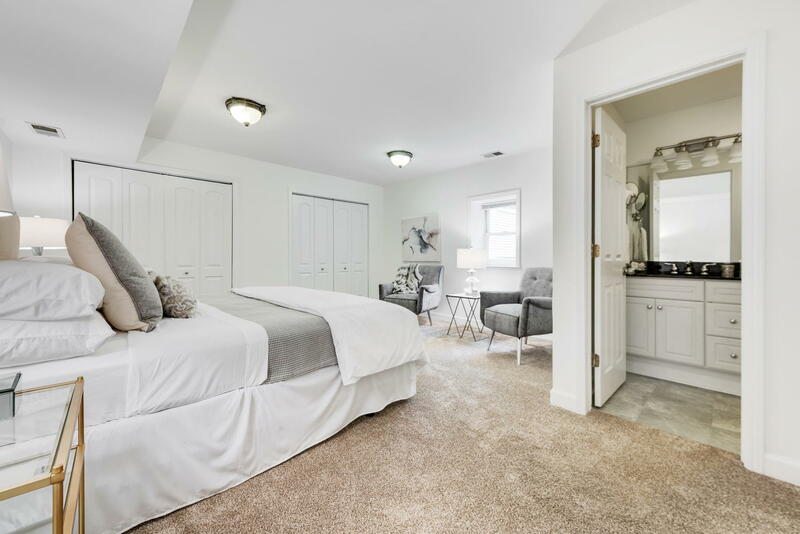 The main living level includes a spacious great room with vaulted ceilings and skylights, updated kitchen featuring shaker cabinets and stainless steel appliances. 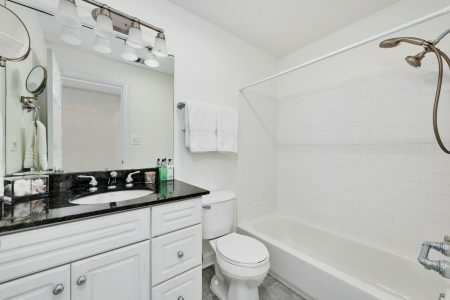 Also on the main level, is a gracious bedroom and full bath. 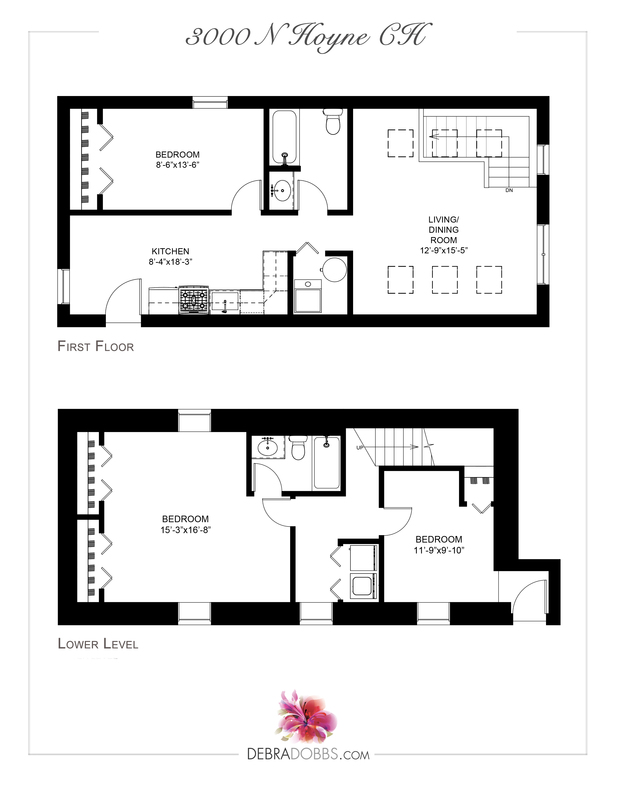 On the lower level are two bedrooms. 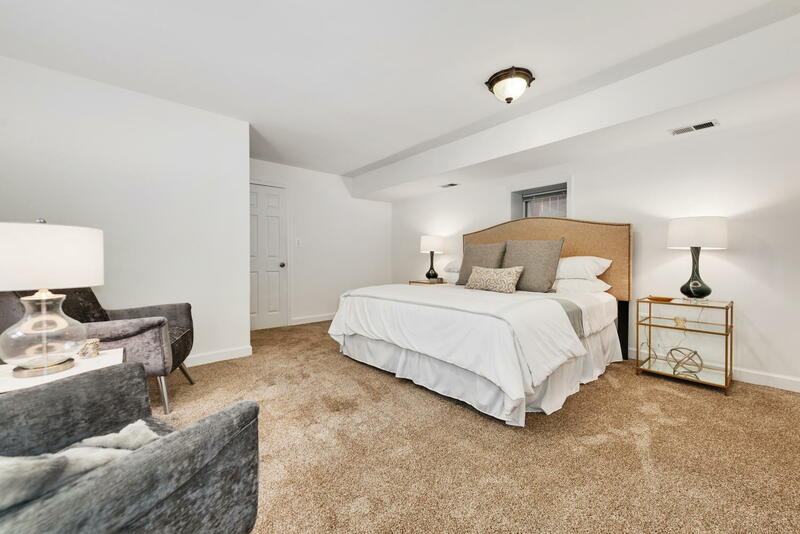 One is currently being utilized as a study and the other is the spacious master suite. 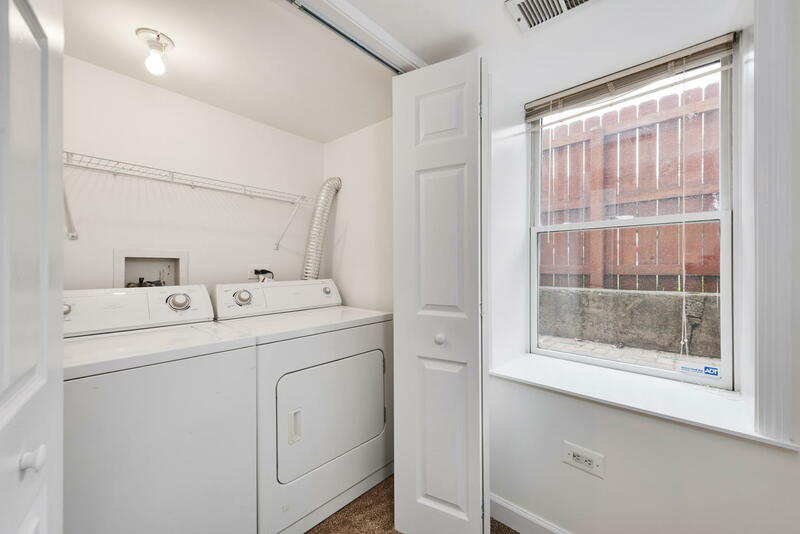 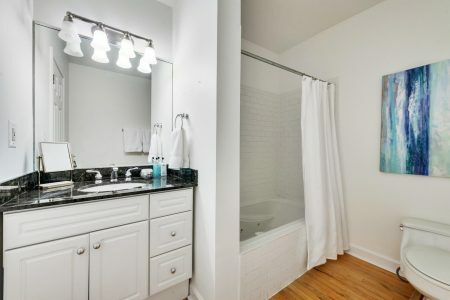  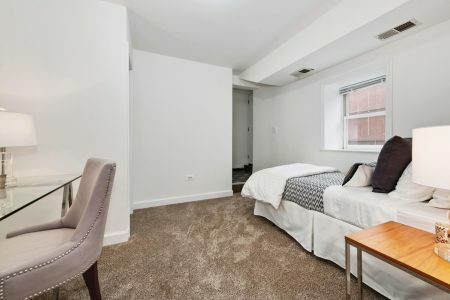 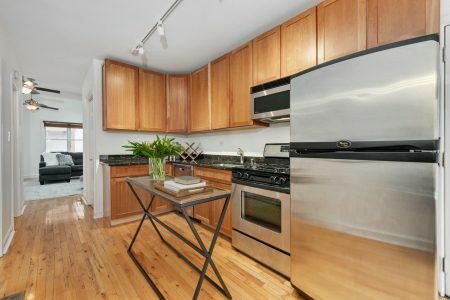 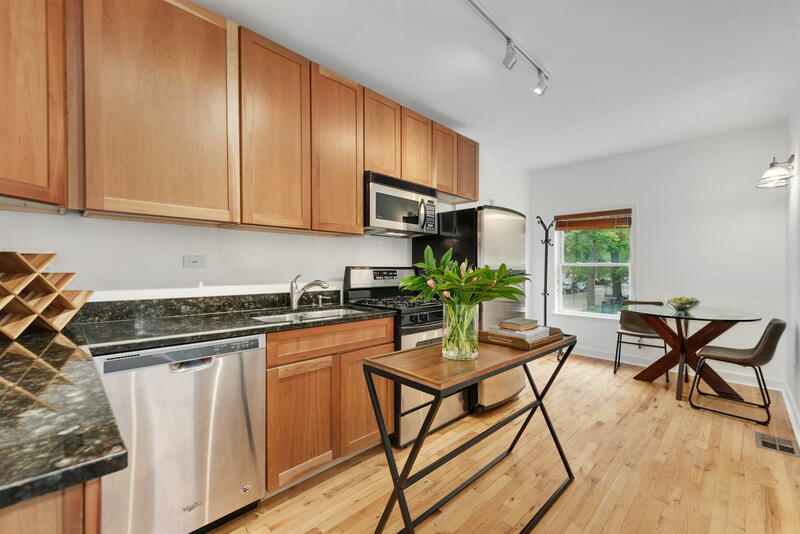 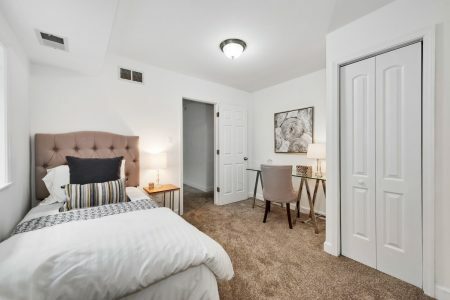 Standout features include in-unit laundry, hardwood floors, and an exterior parking space.